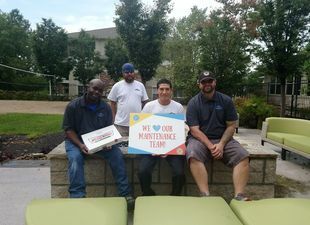 This week is Maintenance Appreciate Week in Kansas City. It's something the team looks forward to each year. It's a full week of showing the maintenance team how much they are appreciated. Check our communities social media channels for photos and updates.